Muse, a very popular alternative rock band is also commonly known as a progressive rock band among the media. Hearing their pop singles, a listener would not hear any prog elements at all in their music. 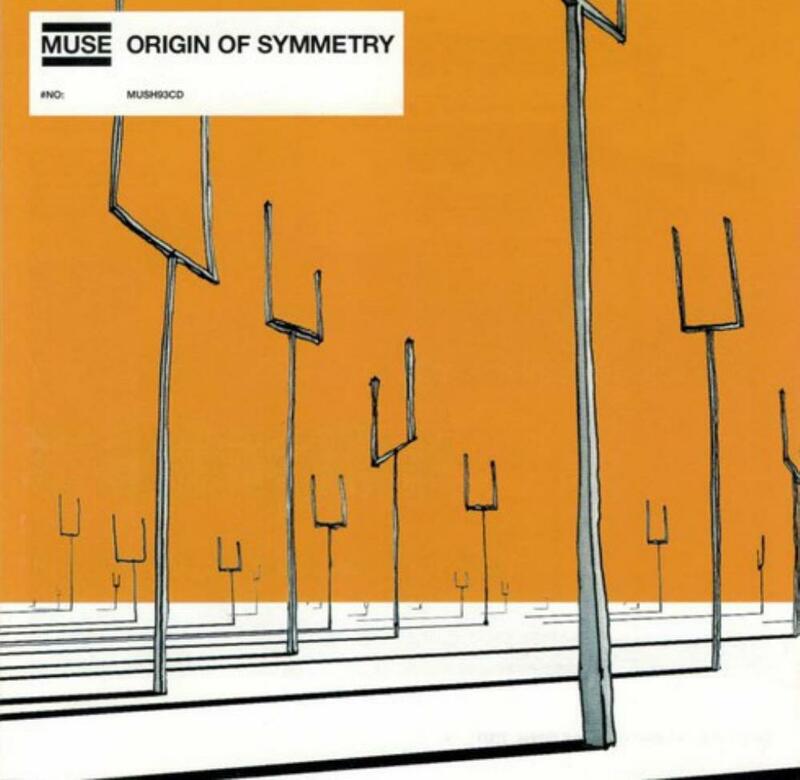 However, their albums do contain a respectable dash of progressive tendencies and creativity, and works like Origin of Symmetry are good albums in their own right. Of course, Muse is first and foremost an alternative rock band, there is no other way around it. Listeners in Britain are most likely all to familiar with the energetic guitar melody and the soaring chorus of "Plug In Baby", which of course besides the noise in between it and the previous track has nothing progressive in it. Other tracks are mostly straightforward, all the tracks are in standard songwriting format, and there is really no virtuoistic playing in the band's music save for perhaps some extremely difficult-to-reach notes sung by Matthew Bellamy. That being said, there is certainly a reason why they are labeled progressive. Keyboard arpeggios and ostinatos like in the second song "Bliss" are commonplace in their music, and the synths are mixed towards the forefront. The riff in "Hyper Music", after a fair amount of unusual noise and strange feedback, opens with a somewhat unconventional and dissonant riff before leading into a midtempo alt rock song. There are even some odd and shifting times like in the song "Micro Cuts", which also contain some of the most difficult falsetto singing in the album. The album suffers a bit though in terms of construction. The opener, "New Born" builds dynamically into some of the big bombastic sounds for which Muse is known, leading into the similarly fast-paced "Bliss", and then into the haunting and energetic "Space Dementia". The first half overloads the listener with as much over-the-top wall of sounds that alt rock can dish out, and then the second half boasts some of the least inspired slower tempo songs that really do little emotionally. As an album, it seems a bit thrown together and uneven. All in all though, Muse put out a good effort on Origin of Symmetry and showed some great writing in a genre where creativity or progressiveness isn't necessarily praised. The group clearly has a good understanding of music and has the potential to write interesting stuff. While they will probably stay in the mainstream alt circles they still have something to show for their competent musicianship.